For the period ending June 08, 2018 ... New DVD and Blu-ray selections added to the DVD & Blu-ray Release Report's database. VCI Entertainment announced this past week that a double-disc DVD collection of four rare Boris Karloff films will be released on Sept. 11. The other rarities are Torture Zone (aka Fear Chamber), Cult of the Dead (aka: Isle of the Snake People) and Alien Terror. Mill Creek Entertainment announced its first wave of post-Labor Day priced-to-collect Blu-ray product offerings this past week. The target date for delivery is Sept. 11. 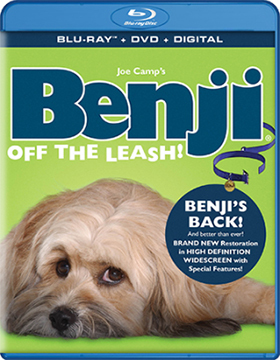 Leading “the pack” is writer/director Joe Camp’s 2004 film release of a Blu-ray/DVD Combo Pack edition of Benji: Off the Leash! This time out the story is something of a film within a film as the producers of the Benji movies hit the road to look for a new canine to star to be in the next installment in the series. This conceit introduces us to Colby (Nick Whitaker — Joseph Smith: Prophet of the Restoration, High School Musical), whose mother lives with a none-too-reputable dog breeder named Hatchett (Chris Kendrick). He mistreats and neglects his kennel dogs, including his prized breeding dog, Daisy. Colby is so upset by the treatment of Daisy that he hides her and cares for her after her latest litter of pups are born. When Hatchett discovers the deceit, he goes ballistic and demands that the kid bring Daisy and her puppies back to the kennel, but he holds back the runt of the litter and cares for her … she will, through a series of adventures, become the new Benji! To add a little levity to the proceedings — and to allow time for the puppy to grow up (three separate dogs were used during the “growing up” process) — Joe Camp introduces us to “Lizard Tongue,” a stray dog that defies capture. Two local animal control workers, Livingston (Randall Newsome) and Sheldon (Dane Stevens) are constantly thwarted in their attempts to corral the mutt! 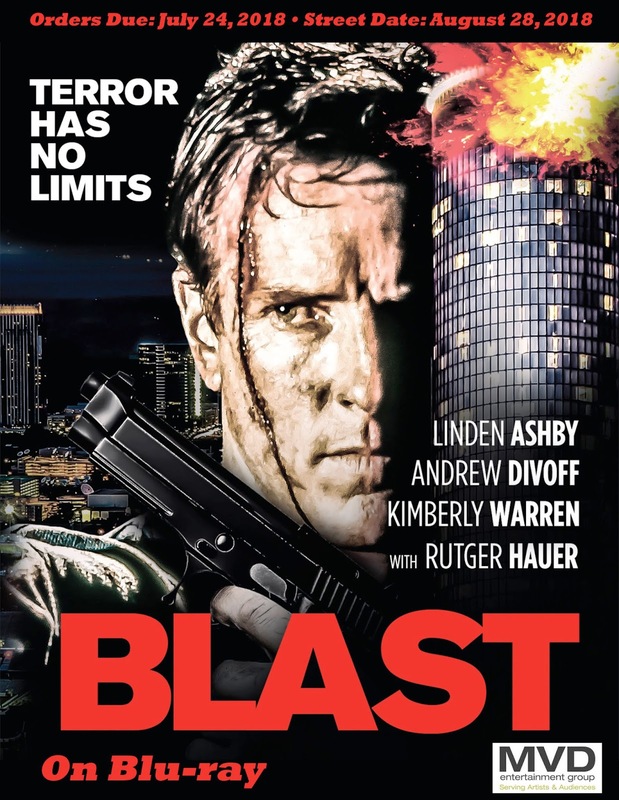 Bonus features include commentary from writer/director Joe Camp, who is joined by film editor Dava Whisenant, composer Anthony Di Lorenzo and producer Margaret Loesch. 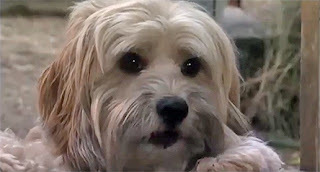 The is a behind-the-scenes featurette and the trip down memory lane presentation titled “Benji Movie Memories,” which delivers scenes from five different Benji movies starring three different dogs as Benji. 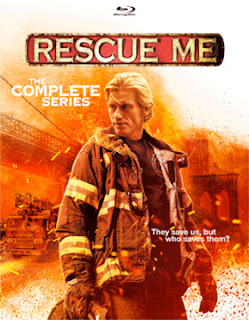 Also getting a green light on Sept. 11 is the massive 16-disc Blu-ray collection of Denis Leary and Peter Tolan’s New York City firefighters TV drama, Rescue Me. All seven seasons — 93 episodes — of the post-9/11 story about Tommy Gavin (Denis Leary) of FDNY Ladder Company 62 (62 Truck) are included here. Gavin, who still grieves over the loss of 59 fellow firefighters who were at the Twin Towers on Sept. 11, is the lead … his personal life and the daily routine with fellow members of 62 Truck are often as combustible as the fires they fight. Rounding out the first wave of September Blu-ray new arrivals is the Sept. 11 release of the 12-disc collection of Community: The Complete Series. Of note, Mill Creek Entertainment is also offering a 12-disc DVD collection on the same date. Jeff McHale stars a disgraced lawyer — a little detail about lying about his college education — who ends up at a local community college taking various classes to get the credits necessary to complete his degree. That sets up the comedy hijinks as he is attracted to a self-styled “activist” played Gillian Jacobs and forms a “study group” to be around her. Of course the “study group” is just a ruse, but soon more members join and it eventually becomes a multi-semester collection of misfits and eccentrics. All six season — 110 episodes — are included here. 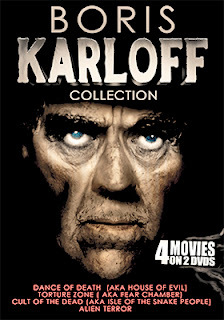 And just like there are now three “Marquee Collection” Blu-ray releases in the pipeline from MVD Entertainment Group! Last week director Joan Chen’s 2000 film releases of Autumn in New York, starring Richard Gere and Winona Ryder, was next “Marquee Collection” Blu-ray to be announced for delivery on Aug. 28. This week it is Blast! 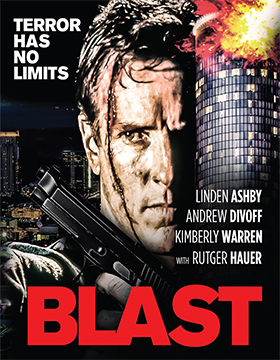 on Blu-ray, the all-action thriller from writer/director Albert Pyun. The street will also be Aug. 28. Jack Bryant (Linden Ashby) is in the wrong place at the wrong time. It’s been like that for a number of years for this former Olympic hopeful, who let booze and injuries bring him down to the low-level world of being a building janitor. 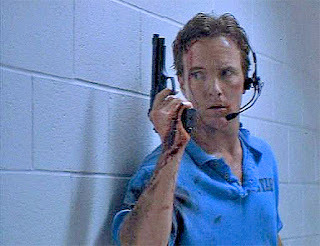 He’d actually prefer being back at home watching the Women’s Olympic Swim Team on TV, but when the international terrorist known as Omodo (Andrew Divoff) and crew take the team hostage (at the Atlanta Summer Olympics) he finds that he has an exclusive front row seat to the terror. Only a cell phone to an outside expert in tactics (Rutger Hauer), his wits and his long forgotten martial arts skills stand between torture and death for the hostages!! Wolfe announced this past week that award-winning Canadian filmmaker Eisha Marjara’s first foray into feature-length narrative films, Venus, will be making its domestic DVD debut on Sept. 11. Sid (Debargo Sanyal — Pottersville, The Magic of Belle Isle, etc. ), a Montreal native, notices one day that he is being stalked by a teenage kid named Ralph (Jamie Mayers — as Seth in the Game On TV series). Meanwhile, his mother, Mamaji (Zena Darawalla) — a very traditional Punjabi mom — sees her son as having something of an expiration date … a thirtysomething and not yet married (all the prime Punjabi women will certainly be taken). This mix is the story that unfolds in Marjara’s Venus, and it takes the superb acting abilities of all three to walk a delicate line between drama and comedy, and at the same time avoid the narrative pitfalls of being stereotypical and farce. When in high school Sid had a fling, it wasn’t your typical boy meets girl, boy beds girl, but boy meets girl … to meet the girl’s smoking hot brothering. Nature took care of the rest, which brings us to the 14 year-old teen who has been following Sid around. Ralph is his son! Oops!! The reason Sid isn’t yearning for a Punjabi bride is that he has made a major decision in his life, he’s transgender and has decided to make the transition, which will be news to his parents. You can see how this little development could easily take the entire film off the tracks in the first act, but both Sanyal and Mayers — as reluctant father (mother to be) and inquisitive son — nail the personas that writer Eisha Marjara has crafted for them. Things are not going that well at home for Ralph, as his mother, Kirsten (Amber Goldfarb) and his new stepfather have created something of a riff between mother and son. This is the motivation behind his sudden interest in who his biological father is. And now the good part … the coming out to Mamaji and the introduction of her grandson. If you enjoyed director Michael Showalter’s The Big Sick, you witnessed the hell that Kumail (Kumail Nanjiani) went through when he announced that he was in love with Emily (Zoe Kazan) and was not at all interested in an arranged marriage. His family disowned him! The mood shifts back and forth between comedy and drama at the speed of light. It is only the deft performance of Zena Darawalla as Mamaji, who is heartbroken that her son is not going to be her son any longer, but is also unsure of what kind of a grandson this teenager might be. It’s a lot to throw at mother all at once. Filmmaker Eisha Marjara makes all of these diverse forces (elements) work so marvelously well in the film tapestry that emerges. 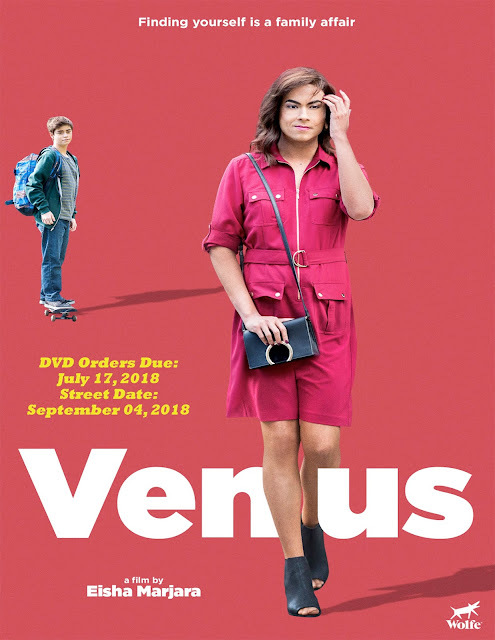 Venus is ultimately a heartfelt tale of love, acceptance and family, even if traditions have to be tossed out the window! Paramount Home Media announced this past week that four popular CBS television series will bracket the end of summer Labor Day period. 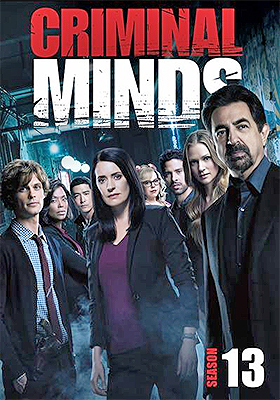 Kicking off the hit parade on Aug. 28 is a six-disc collection of Criminal Minds: The Thirteenth Season. The FBI’s Behavioral Analysis Unit (BAU) got a new agent during the 13th season with the addition of ex-Delta soldier Matthew Simmons (Daniel Henney — X-Men Origins: Wolverine, The Last Stand). His casting breathed new life into the venerable series, along with a slew of special guest appearances that included Kim Rhodes, Bodhi Elfman, Jamie Kennedy, Lou Diamond Phillips, James Urbaniak and more. Paramount Home Media Distribution and CBS Home Entertainment street all 22 episodes of the dark crime series with bonus features that include audio commentary for select episodes, a gag reel, deleted scenes, cast and crew interviews and more. 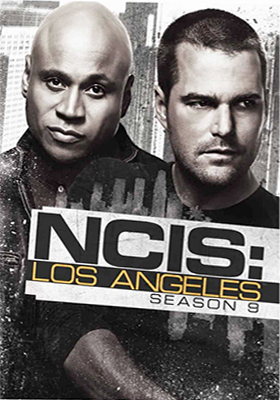 Additionally, the same Aug. 28 street date brings the release of NCIS: Los Angeles: The Ninth Season (also a six-disc collection). All 24 episodes featuring the SoCal team of the Naval Criminal Investigative Service are featured … from the introduction of a new leader of the unit (Nia Long — Boyz n the Hood, Big Momma's House, The Best Man Holiday, etc.) to massive partnerships with the FBI and LAPD across multiple episodes, the ninth season showed why this spinoff NCIS show (thank you, LL Cool J) still has legs. 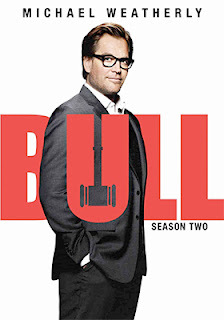 On Tuesday, Sept. 4 (the day after Labor Day), Michael Weatherly (NCIS: Naval Criminal Investigative Service) returns as Dr. Jason Bull in Bull: Season Two, bringing back the excellent trial drama stories based on the real-life career of trial consulting firm expert Dr. Phil McGraw. The second season sees the Trial Analysis Corp. tackle the case of a trophy wife (Minka Kelly — Friday Night Lights, Parenthood) accused of killing her billionaire husband; a sticky situation when a college kid is accused of murdering someone on a Native American reservation; and the defense of a doctor who violates the law by crossing state lines to help treat patients with marijuana-derived oil. Also Sept. 4, look for Hawaii Five-O: The Eighth Season, with another 25 episodes of the hit remake of the classic crime-fighting series (in paradise). The latest season features new recruits, a hunt for a hitman, a Russian spy ring (complete with nuclear implications), and even the mob!